Found 4 file extension associations related to PixFiler and 2 file formats developed specifically for use with PixFiler. Do you have a digital camera or a scanner? 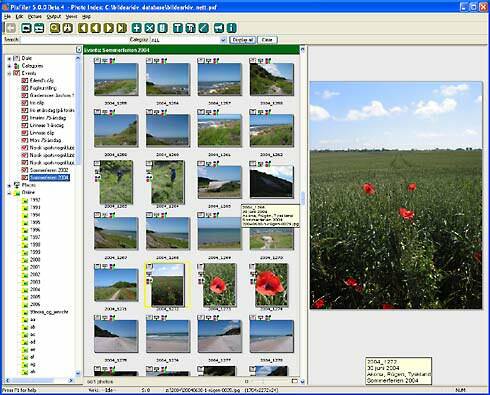 Or do your business have many digital photos you need to keep track of? I'm sure you noticed that keeping track on all those digital photos isn't always easy. PixFiler Picture Organizer will make this easier. It will locate and display your photos in just seconds. It will read most image formats, even raw files from most digital cameras, no matter if they are stored on your hard disk or on a CD or DVD. And it doesn't slow down as your photo collection grows. Several 10,000s is no problem for PixFiler Picture Organizer. If you need more information please contact the developers of PixFiler (BR Software), or check out their product website.